This is a fantastic shot of a green caterpillar, crawling away in the permaculture garden. Cool spikes ! 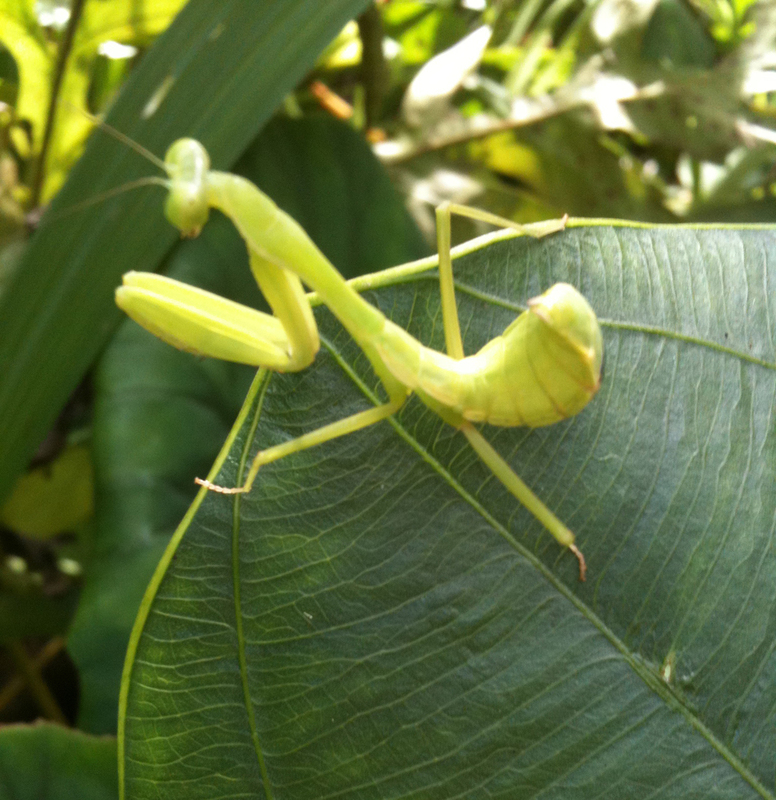 Look at this beautiful praying Mantis. And she is actually praying - look at her 'hands'.